EEx rating according to type of lamp used. 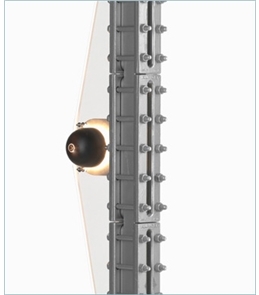 Supplied with aluminium housing for corrosive applications A light diffuser is mounted to concentrate the light onto the level gauge Voltage 110-230V AC (max 380V) EEx approval ISS and P # 98D, 103, 1283/970, 103, 124 Supplied with Plexiglas or glass Supplied with either incandescent of compact fluorescent lamps. EEx rating according to type of lamp used. Supplied with either incandescent of compact fluorescent lamps.